I want my sons to know that Christianity is more than a label. It is more than a religious preference. And it is much more than going to “church” on a Sunday morning. Being a Christian is to be like Christ. It is a person whose affections are bent towards Jesus. It is when our life is reflective of the Gospel. Over a year ago while I was reading and studying some of Dr. John Piper‘s work, I saw a consistent reference to Jonathan Edwards. Dr. Piper had a professor who told him to take the time to research and study a theologian/scholar to grow and learn from. The person Dr. Piper chose was Jonathan Edwards. 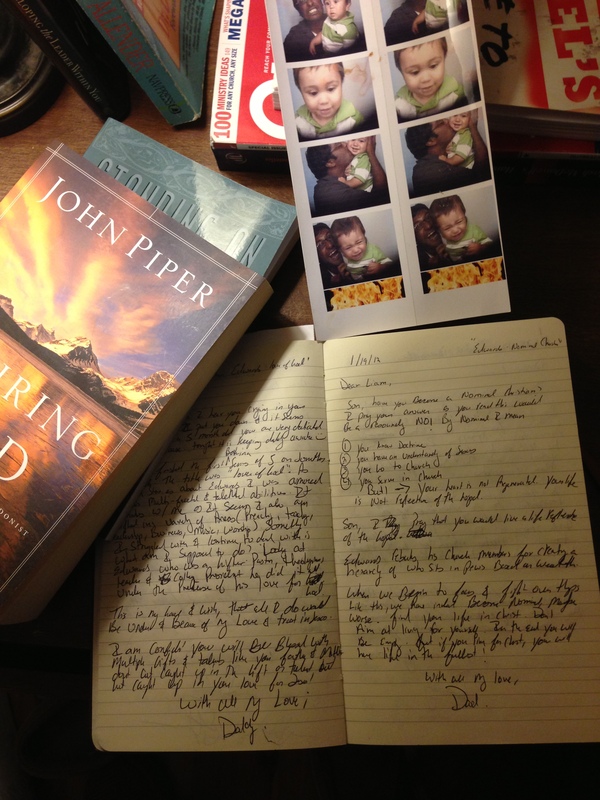 I have been greatly influenced by Dr. Piper and I likewise wanted to study the man that so greatly influenced Dr. Piper. The scariest part of nominal christianity is that it can creep up on anyone, especially when we begin to believe that we are self sufficient. The answer to nominal Christianity is simply the Gospel and remembrance. The Gospel – It affects our hearts and causes us to find security, redemption, regeneration, and deep satisfaction in Christ and his work on the cross. Remembrance – Just as Jesus taught his disciples to take communion in remembrance of him, so we should bring to remembrance the Gospel and the work of Christ on the cross. It important and essential to live lives that are worthy of the Gospel. This entry was posted in Theology, Uncategorized and tagged Affections, Christianity, Gospel, john piper, jonathan edwards, Nominal, Nominal Christianity, religion, Theology by jmuddamalle. Bookmark the permalink.